Record-breaking attendance at Ibiza’s premier nightspots this season sparked our Ibiza Deep House Sessions series and it has gone down a storm. With another successful year so far on the white isle we felt it only right to give you another whopping slice of that Deep House sound championed by Ibiza’s finest DJ’s. 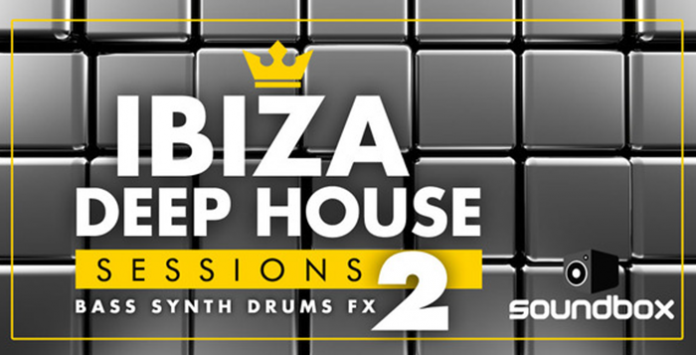 A smashing 420MB of Deep House fused with just enough Tech to keep all 4/4 producers and music lovers appeased. Subbed-out Bass-lines, deep pumping drums, hook-heavy leads and sound-system crackin’ tops are in abundance in this professionally produced collection of hi-quality loops and samples. All loops are BPM Sync’d and music loops are key labeled so you can waste no time getting straight into producing your next killer Deep House track. Fans of artists and labels such as Ten Walls, Spinnin Deep, Defected, Hot Since 82, MK, Aus, Dusky, Crosstown, Hot Creations, S Man & Huxley, Maceo Plex and Get Physical will find this pack a must have for their sonic armoury.